I don't know too many people that don't like a good party. Of course, the kind of parties I prefer tend to be of the old-fashioned, good, clean fun variety. I absolutely love surrounding myself with friends and laughter. 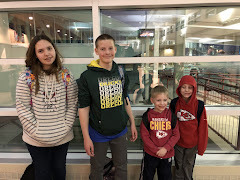 Of course I've had small parties for my kids' birthdays, but those don't require as much planning and preparation as for the get togethers with my friends. I've been raised on the theory of good hospitality and good hosting. So, I always make plans to have food, drinks and entertainment involved. No matter what I serve, I usually try to cook one thing that requires some skill on my part. Everyone likes a home cooked meal and it also gives me a chance to show off my cooking skills. So, generally I will do a meat dish or main course of some kind and then have appetizers and sides that people can eat the rest of the night. I'm pretty excited to try including Farm Rich Queso Bites at one of my next parties (if I can ever find them at a local store- believe me, I've looked!) I'm a self-proclaimed cheese lover and also a pretty big fan of jalapeno poppers, so these sound delicious! "Farm Rich wants to help you spice up your parties and create fun, lasting memories. 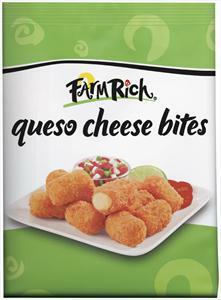 Farm Rich Queso Cheese Bites are not too hot, not too cool, but just right. These little guys are creamy white, queso-filled, breaded, bite-sized happiness, packin’ just the right amount of heat to perfectly spice up any occasion. They come out of the oven or fryer in just minutes, crisp and toasty on the outside, meltingly tender on the inside, and ready to serve for an after-school snack, party appetizer, or just anytime hunger calls. The wholesome snacks also are a good source of calcium, and each portion contains just 180 calories and 0 grams trans fat per serving." Along with food, cocktails (I'm not a big drinker, so it tends to be byob) and friends, I usually like to play it nerdy by getting out a board game. We love trivia here and it gives me a chance to make people think I'm smart. From Scattegories to Trivial Pursuit to Cranium and occasionally Monopoly, that's how we tend to pass the time while chatting, joking and letting music play in the background. Although our parties may not seem wild or extreme, it's nice to have friends that can have fun in this kind of way! "Between March 19 and May 4, play Pesos 4 Quesos for a chance to win a $3,500 'Fiesta Grande' from Farm Rich. Visit the Farm Rich Facebook page and click on Pesos 4 Quesos to play and register to win weekly $200 gift cards plus the chance to take home the $3,500 grand prize—worth over 44,000 pesos! By reaching certain game levels, players can also earn coupons to try the new Queso Cheese Bites. The grand-prize winner will be announced on May 5." This game is actually really fun and kind of addictive. I've played it every day since it has been available. I'll get to a level and get stumped and have to tell myeslf, "it's a game, you can quit anytime!" Normally I don't play FB games, but this is one I've actually had fun with! here are my own. To  read more posts on this topic, click here.